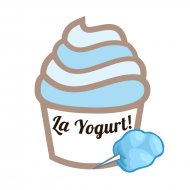 La Yogurt E-Liquids | White Mist Co. Cloud Candy eliquid is a complex blend of blueberries, cotton candy and yogurt. When developing this flavor our intentions were clear, to create a utterly unique flavor that words simply can not describe. Cloud Candy eliquid comes packaged in a 10, 30, or 60 ml tamper evident child proof needle tip plastic dropper bottle. Cloud Candy V2 was created during the Cloud Candy drought of 2016. The people demanded Cloud Candy and there was none so Cloud Candy V2 was created to keep people tied over until Cloud Candy returned. However we keep getting requests for Cloud Candy V2 hence it’s here. 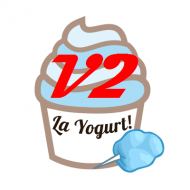 Cloud Candy V2 is an alternate version of Cloud Candy which offers higher notes of Blueberry and will give you a different experience, less creamy more fruity but just as satisfying. Cloud Candy V2 eliquid comes packaged in a 10, 30, or 60 ml tamper evident child proof needle tip plastic dropper bottle. Nilla eliquid is an exquisite French Vanilla style eliquid with undertones of yogurt. 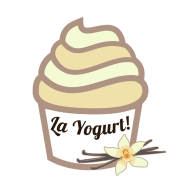 It takes the sweet taste of vanilla and adding in that French twist infused with yogurt. Nilla eliquid comes packaged in a 10, 30, or 60 ml tamper evident child proof needle tip plastic dropper bottle. 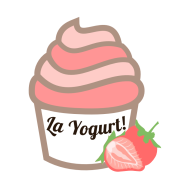 Strawberry Yogurt eliquid is a fusion of sweet strawberries mixed with creamy yogurt. 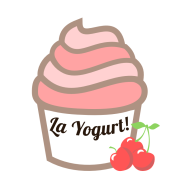 This eliquid is creamy and fruity while preserving the traditional tasted of strawberry yogurt. Strawberry Yogurt eliquid comes packaged in a 10, 30, or 60 ml tamper evident child proof needle tip plastic dropper bottle.